Painted by Léon CORTHALS (1877 - 1935) Belgian School. 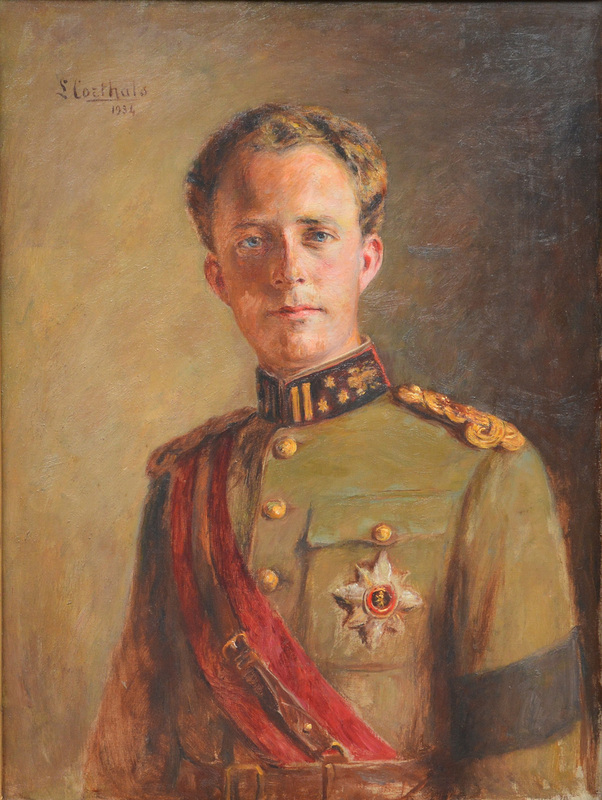 Painted by Léon Corthals (1877 – 1935) Belgian School. Oil on Canvas, signed and dated : L. Corthals 1934. Dimensions : 80 cm / 60 cm. 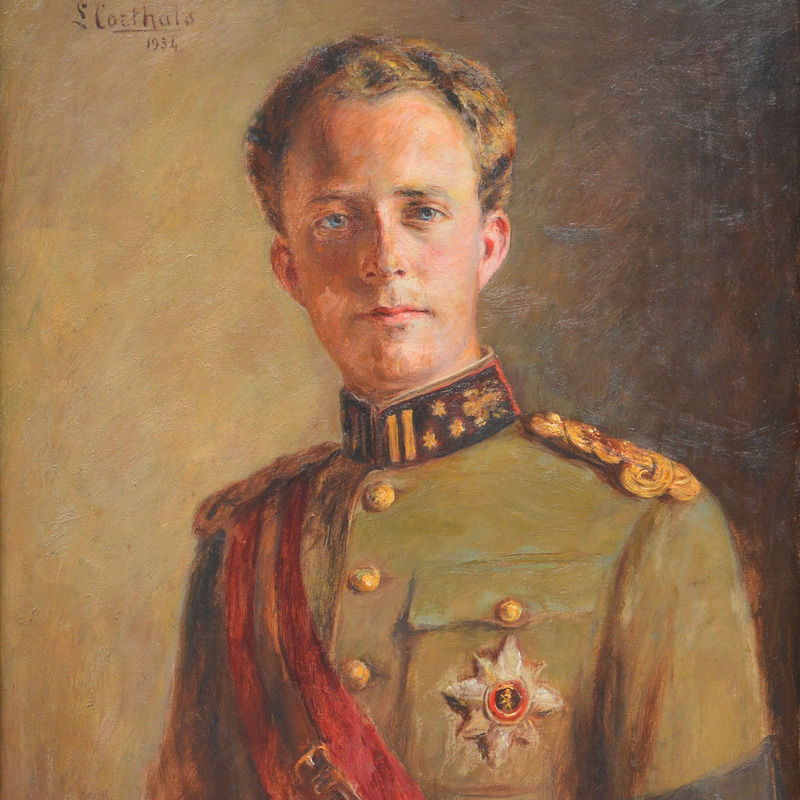 This beautiful portrait of the young King Leopold III was painted in the year of his Ascension to the throne on February 23rd 1934. The King wears his mourning armlet for his father the late King Albert I, who died in a tragic accident one week earlier on February 17th 1934 in Marche-Les-Dames.